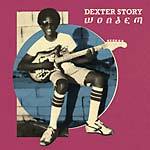 Deluxe limited double CD edition housed in a casebound package with 52-page booklet featuring photographs of the recording session. Colombian musician Mario Galeano, the force behind the band Frente Cumbiero, and English producer Will Holland aka Quantic, have joined forces to create the Ondatrópica project. 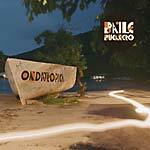 Ondatrópica, supported by the British Council, exists to explore and expand the tropical sound of Colombia in its rawest form and to marry it with contemporary influences from around the world. Ondatrópica brings together an iconic group of top Colombian musicians representing both the classic and more modern styles of la musica Colombiana. Artists such as Fruko, Anibal Velasquez, Michi Sarmiento, Alfredito Linares, Pedro Ramaya Beltran, Markitos Mikolta and Wilson Viveros joined a group of younger Colombian musicians, members of both Mario's band Frente Cumbeiro and Quantic's Combo Barbaro, to (re)generate the excitement that positioned Colombian music as one of the most influential in South America. Soundway's exploration into Colombian music began in 2007 with its much-acclaimed compilation Colombia! 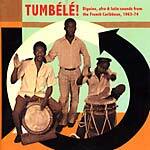 The Golden Age of Discos Fuentes: The Powerhouse of Columbian Music 1960-76 (SNDW 008CD/LP) which features many original works from the above-mentioned artists. Fitting then, that Ondatrópica came together over 3 weeks in January 2012 in the legendary Discos Fuentes studios in Medellin with one of Colombia's most celebrated engineers and producers, Mario Rincon, who is responsible for some of Discos Fuentes best recordings of the 1970s. As a result of the British Council support for the project, a 10 piece Ondatrópica touring band has been invited to perform at the London Cultural Olympiad on July 21, 2012 as part of the BT River of Music event on the Tower of London Americas stage, following which, the band will also perform at New York's Lincoln Center on July 27, 2012. 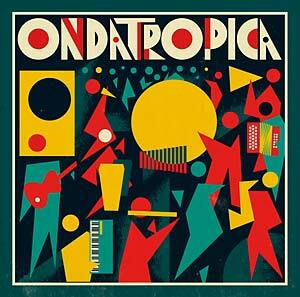 Ondatrópica's eponymously-titled album fuses traditional Colombian styles such as cumbia, gaita and champeta with boogaloo, ska, beat-box, hip-hop, ska, dub and funk, creating a progressive collection of tracks that re-interpret the tropical musical heritage of Colombia with new approaches in composition, arrangement and production.